In more general usage, a cheat sheet is any short (one or two page) reference to terms, commands, or symbols where the user is expected to understand the use of such terms but not necessarily to have memorized all of them. data.table is a R package that provides a high-performance version of base R’s data.frame with syntax and feature enhancements for ease of use, convenience and programming speed. All functions that open a device for graphics will have height and width arguments to control the size of the graph and a pointsize argument to control the relative font size. In knitr, you control the size of the graph with the chunk options, fig.width and fig.height. 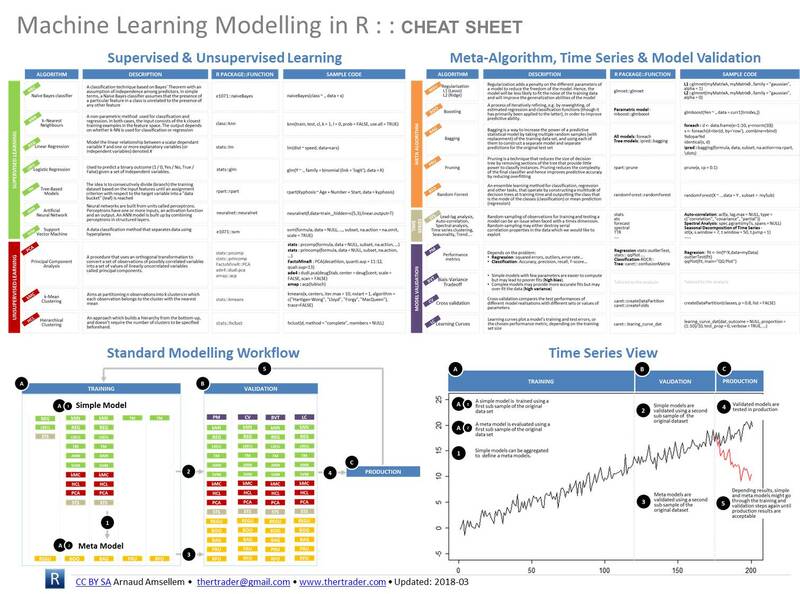 This sheet will help you with calculating the size of the graph and various parts of the graph within R.
It’s a guide to what could be considered as being the most useful tools available in R for modelling. It also contains a standard modelling workflow which represents a view on how to approach a generic modelling exercise.